Intellectual property (IP) is all around us. No matter the nature of your business, you will be frequently using and creating intellectual property. We are dedicated to guiding and assisting you every step of the way, from conception and creation to placement of the final product on the market. Tsimikalis Kalonarou’s lawyers “know IP laws inside out“, are “committed to their clients’ best interests“, and provide “best-in-class advice“. The “brilliant” Stefanos Tsimikalis is “an excellent trademark expert” and Athanasios Tsimikalis is praised for his “extremely in-depth knowledge of the intellectual property system“. The field of intellectual and industrial property has been at the forefront of the sweeping changes brought about by globalisation and the rapid spread of new technologies and media. At the same time, the significant intangible value that trademarks, patents and designs represent for companies remains undiminished. It is now widely acknowledged that the safeguarding of intangible assets – whether by patenting inventions or registering trademarks – has become an essential part of any organisation’s strategy. 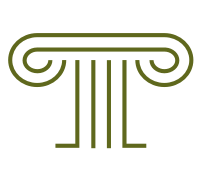 At Tsimikalis Kalonarou we attach great importance to intellectual and industrial property rights, which have always been a substantial part of our work. This is perhaps most clearly illustrated by our long-standing track record. Since the 1950s, we have represented and handled our clients’ interests in this field in a consistent and dedicated manner. Our IP department was in fact created not long after World War II, when the firm was instructed to recover foreign trademarks that had been expropriated as hostile property. Our efforts at the time resulted in a successful outcome and the generating of new business for the firm. Our firm is committed to supporting clients by protecting their IP, regardless of type (e.g. innovative ideas, inventions, trademarks, copyright protected work). Our services range from the submission of applications to register trademarks, patents on inventions and designs, either domestically or internationally (EUIPO, EPO, WIPO, etc.) to handling multi-jurisdictional, complex litigations against infringers. Our decades-long engagement in these fields has enabled us to create an IP portfolio that we manage for major multinationals across a diverse range of industries. Advising on licensing, merchandising, franchising, joint venture and co-existence agreements. Though not particularly common in Greece, even to the point of neglect, industrial designs are a reliable option for protecting the two- or three-dimensional form of a product and its distinctive characteristics. Especially in view of the widespread importation of imitations into Greece, industrial design rights can provide effective protection in many business sectors. A company’s ability to obtain patents ensures a return on its research investment. In our view, an important factor for the normal use and exploitation of a patent is not simply its proper registration, but also its consistent upholding by the courts. In this regard, our firm is active from the stage of filing a patent through to the successful judicial enforcement of the right deriving from it. The advent of domain names has created a rapidly expanding area of law with enormous importance in terms of how businesses approach consumers. The interplay between domain names and trademarks frequently gives rise to conflicts on account of the different legal frameworks governing each of these rights. So, in this field too, our firm constantly keeps abreast of international developments so that we can provide the best possible advice to clients. The ultimate goal of any financially motivated enterprise is to attract the consumer. To achieve this, unfair practices are often adopted, such as appropriating the fame of another’s distinctive features. Our mission is to protect clients who have distinctive features that are not registered but have become established in the market. Comparable, unfair and misleading advertising. To protect our clients’ interests in the most effective manner possible against the illegal importation of imitation products and the unlicensed use of protected marks, we liaise with the authorities to help ensure that reliable customs checks are conducted on products of doubtful origin. Apart from the customs service, we also maintain contact with the Market Police, the Municipal Police and the tax authorities, so that we can be promptly informed and, after consulting with the client, take steps to have any counterfeit goods seized or destroyed. In a globalised world dominated by the internet and new technologies, protection of copyright is a major challenge. Trade secrets are extremely valuable assets and an effective way to protect practices, methods, business information or recipes which foster innovation or simply provide a competitive advantage. We can help you safeguard the integrity of your trade and business information and assist you in dealing with insider threats and unfair competition. Understanding your concerns and effectively protecting your ideas in an ever evolving marketplace.